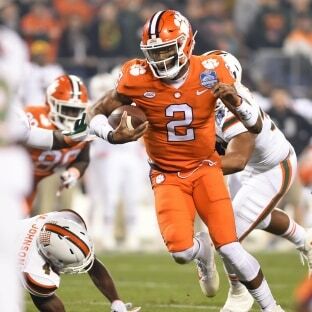 When the Tigers ended last season, the Atlantic Coast Conference champions appeared more than set behind center with Kelly Bryant returning as starter and three experienced backups who’d been through Clemson’s system in Zerrick Cooper, Tucker Israel and Hunter Johnson. Cooper and Israel played two years with the Tigers before leaving last January. Johnson left in May after going through spring workouts. Lawrence already is a fan favorite because of his poise, talent and similarity to Watson, who also liked to pass downfield. Bryant is a strong runner who is sometimes off-target on long passes. Previous ArticleCan Oregon State baseball break up the SEC's stranglehold on College World Series success?